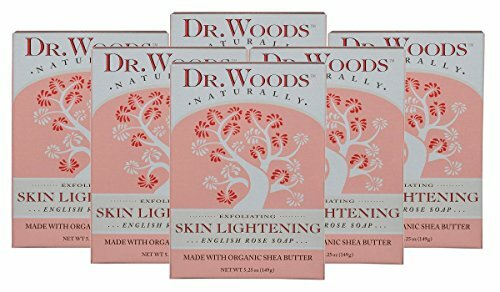 Dr. Woods Naturally Bar Soap Skin Lightening English Rose Description: Exfoliating. Skin Lightening. English Rose Soap. Made with Organic Shea Butter. Romance With Purpose. 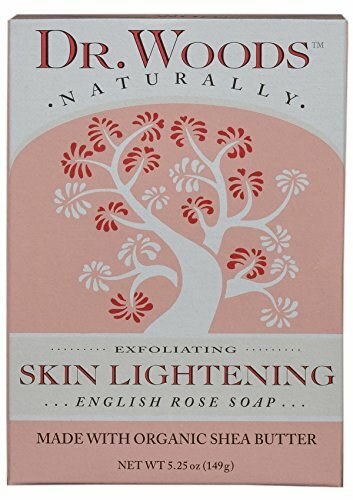 This Skin Lightening Rose Bar helps even skin discoloration and clear blemishes, while the luxurious fragrance provides the escape you crave and deserve. This special formulation effectively lightens the skin, fades dark spots and delicately cleanses and nourishes your complexion to a healthy, elegant glow. 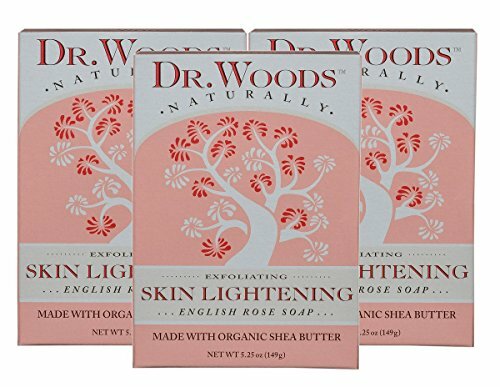 Dr. Woods Skin Lightening Soap's soft bouquet calms and relaxes your spirit, giving you the comfort to look and feel your most beautiful. All Things Good. It's a simple code we live by. We want to feel good in all ways - from what we put on our skin or in our body, to how we treat others and our environment. We want to feel special and indulged, without being wasteful or robbing future generations of our natural resources. That's why Dr. Woods strive to use only the most natural, effective and sustainable ingredients we can find. 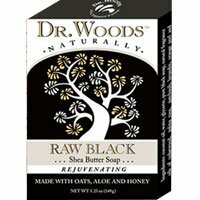 Dr Woods make everything here in the USA, but search the world sourcing the finest ingredients for the products to create a brand we believe in a brand that makes a difference by doing what's right for you, your family and our planet. Free Of Gluten, paraben, phthalate, lauryl/laurel sulfate, petroleum derivatives and animal testing. Disclaimer These statements have not been evaluated by the FDA. These products are not intended to diagnose, treat, cure, or prevent any disease.